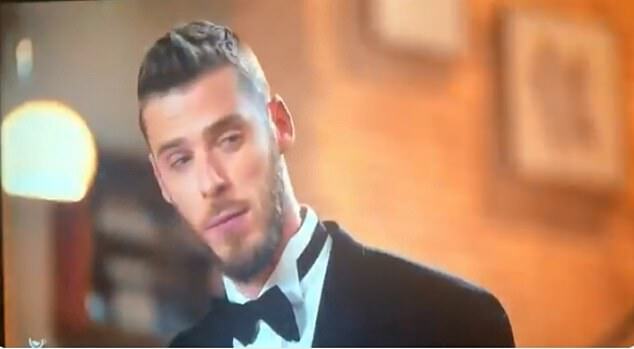 Salt was rubbed into the wounds for David De Gea this week, after the Manchester United stopper was unintentionally taunted by TV adverts following his first-half howler against Barcelona. 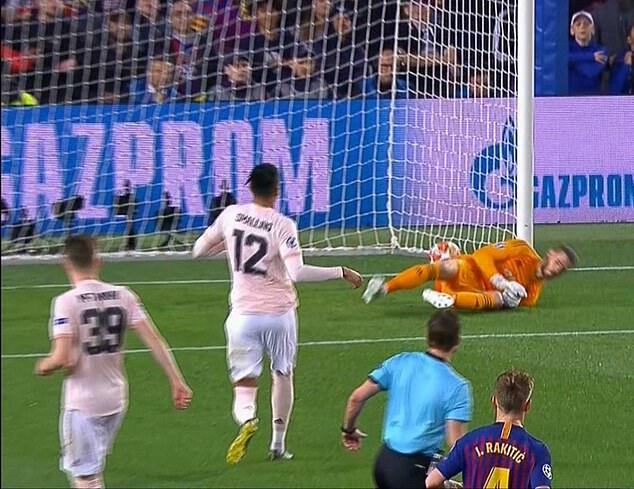 De Gea, widely regarded by many as the best goalkeeper in world football, allowed the ball to slip beneath him following a tame shot from Barca talisman Lionel Messi. The effort meekly rolled into the back of the net as a result, giving the home side an early 2-0 lead on the night and all but sealing United’s elimination. 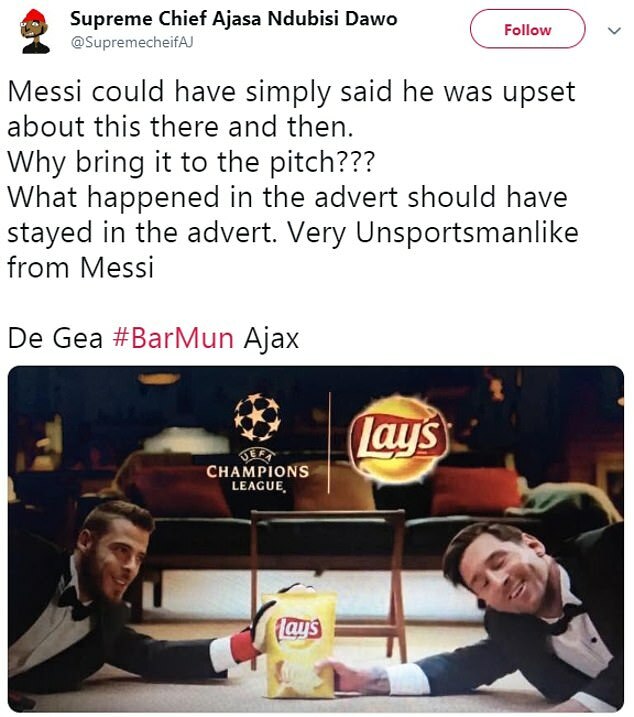 What was to follow however had fans in hysterics, with half-time adverts during the United States coverage coincidentally showing a Lays advert which happened to feature both De Gea and Messi. 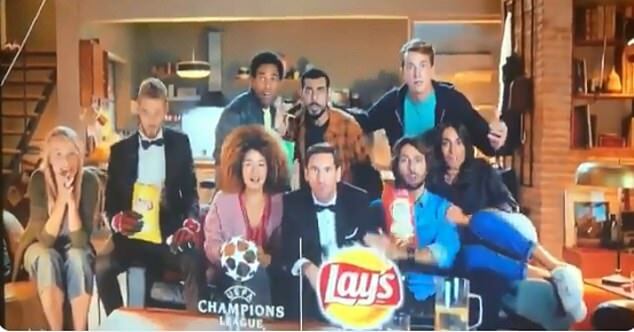 The short clip, filmed many months ago, shows De Gea and Messi sitting on a sofa alongside a group of people waiting for a Champions League match to begin. 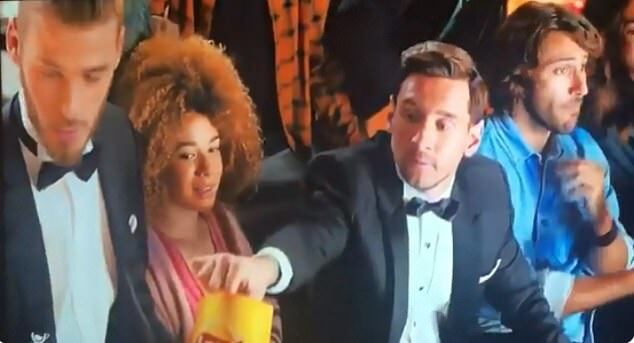 Sensing the opportunity to catch De Gea off guard, Messi steals and eats one of his Lays crisps before flashing a cheeky grin at a fellow spectator sat between them. De Gea, as a result, is left confused and upset to have been humiliated by Messi… which happened to also sum up the mood rather nicely. Football fans stateside were quick to comment upon the ironic screening, and immediately found the funny side of things. 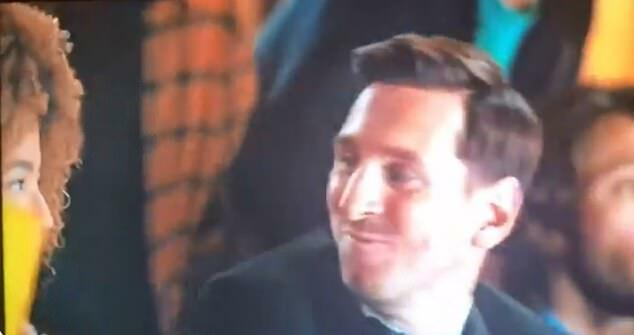 ‘That Walkers advert with Messi and De Gea is quite ironic now really,’ noted one fan. ‘What happened in the advert should have stayed in the advert, very unsportsmanlike from Messi,’ joked another supporter. ‘He can’t catch (a break)’ added another, making reference to De Gea’s erroneous ways as United fell apart in Catalonia. 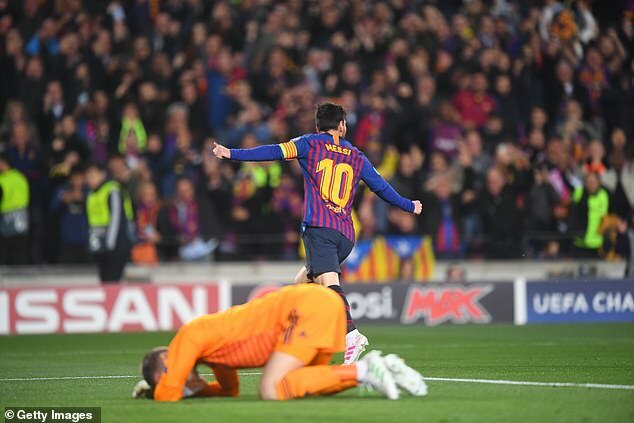 With his two goals past De Gea on Tuesday night – the first being a sublime curling effort – Messi took his Champions League tally for the season to 10. The 31-year-old now tops the goalscoring charts on the European stage, with Robert Lewandowski in second place with eight and Cristiano Ronaldo in third with six. Ajax’s Dusan Tadic and Porto’s Moussa Marega also have six strikes to their names. Barca now progress to the semi-final stage of the competition, where they will face either Jurgen Klopp’s Liverpool or Porto. The Reds hold a 2-0 aggregate lead heading into the clash at the Estadio Do Dragao – the same stadium in which they won 5-0 last season.